THE festive season is fast-approaching – and in the on-trade, preparations are well underway to capitalise on what’s arguably the most profitable time of year for the industry. But success isn’t guaranteed, meaning that it pays to keep on top of the latest drinks trends. That was the message from drinks companies, who told SLTN that operators should undertake a comprehensive review of their respective ranges to make the most of the additional custom during Christmas and New Year. Andrew Lawrence, sales and operations director for Molson Coors in Scotland, said the festive season “is a highlight in the drinks industry calendar”, adding that it offers “significant opportunities for pub and bar owners to offer consumers new ranges or to create a bit of theatre and interest when serving more traditional offerings”. “Consumers are more indulgent and experimental with their drink choices at Christmas,” said Lawrence. “It’s crucial at Christmas for operators to provide a wide variety of choices for consumers. Jo Stewart, co-founder of Midlothian-based Stewart Brewing, said there “is no doubt consumers are becoming increasingly informed and demanding when it comes to quality beer” – meaning that operators must ensure their festive range is up to scratch. “Craft beer has been the fastest-growing beer category for several years now and therefore should feature strongly in any operator’s range,” she said. Stewart added that packaged beers “are a great way to trial new styles and build an impressive range with relatively low or no risk of wastage”. Carlo Valente of VC2 Brands, which counts Boe Gin within its drinks stable, told SLTN that with new customers aplenty over the festive season, it “is a great opportunity for operators to generate more new business for the entire year”. “Consumers are generally more willing to try different drinks and the festive period is an opportunity to tap into their more adventurous nature,” said Valente. And he reckons gin is still the category to focus on this Christmas. “I would recommend operators offer suitable drinks for the winter season,” added Valente. Reinforcing this stance, Joanne Motion, UK customer marketing manager at Edinburgh Gin owner Ian Macleod Distillers, said that gin, alongside premium spirits generally, is likely to be in demand. 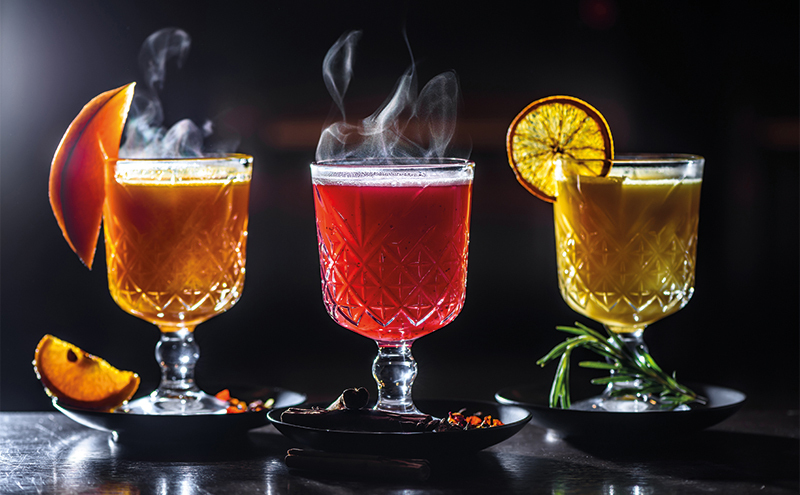 “As the gin market continues to grow and customers become ever more discerning, premium spirits are crucial in any licensee’s Christmas drinks offering,” said Motion. The consumer switch to premium spirits was also highlighted by Scott Dickson, marketing manager at Loch Lomond Group, which counts Glen Scotia, Inchmurrin and Inchmoan malts within its portfolio. Dickson explained that this can be achieved through the use of premium spirits in seasonal cocktails. He said: “Winter whisky cocktails continue to be a firm favourite, traditionally associated with the festive season.